This article presents a detailed implementation of the Corporate Environmental Management Information Systems (CEMIS) Next Generation platform of the IT-for-Green research project. The provided services within this platform are grouped based on the module to which they belong. These services will be the main realization of the workflows activities of the system's business processes. In the frame of this project, the Next Generation CEMIS will be developed, to integrate research concepts of current interest and investigate their feasibility through a prototypical implementation. 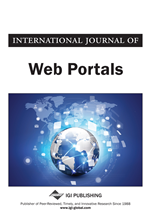 In this paper the authors focus on two major components: the workflow engine implemented using State Chart XML (SCXML) and the Green Service Mall realized as a set of standardized Web Services. Service Consumer: The service consumer (Web Service client) locates entries in the service registry using various find operations and then binds to the service provider in order to invoke one of its Web Services.